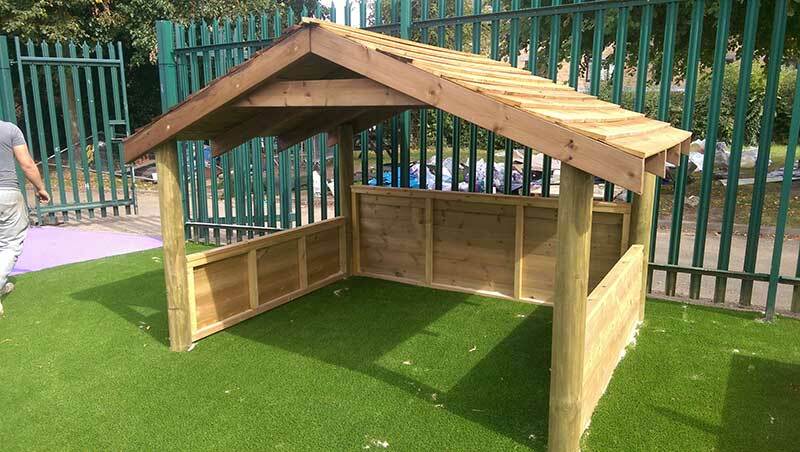 St Laurence’s in Coventry were tired of their old play area, and asked Setter Play to design something new and exciting to renovate the front of the school. The front of the school contained a large space, and we immediately saw the potential for various different areas to cater to different groups of pupils. 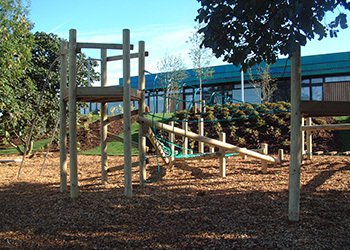 St Laurence’s liked this idea, as it would mean more pupils would be engaged with the play area, and the variety would keep play time’s interesting. 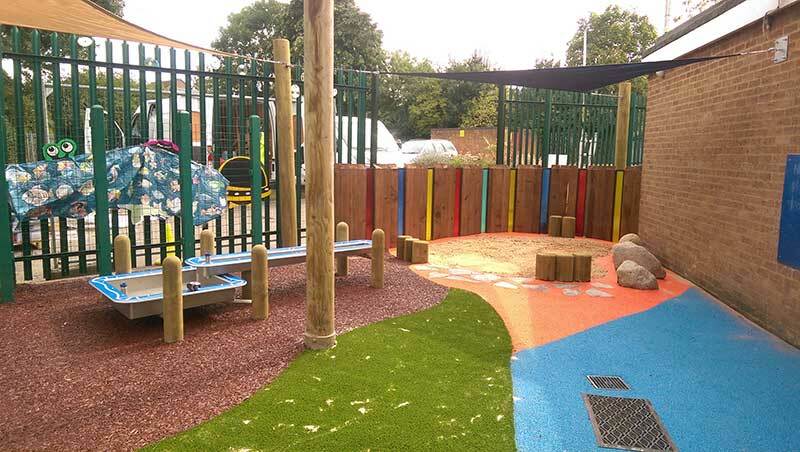 As you can see we included a wide range of safety surfacing in the scheme – this create a funky modern look to the play area, and helps with the demarcation of the different play zones – here you can see the sandpit in the orange area, and our Splish water play unit with bonded rubber mulch beneath it. Rubber mulch has the advantage of allowing water to drain through it, which is obviously beneficial under a water feature! Also of note is the wooden sleepers around the sandpit with colour polycarbonate between them. This lets different coloured light through, adding further interest to the sandpit, as well as blocking it from the main entrance road to the school. 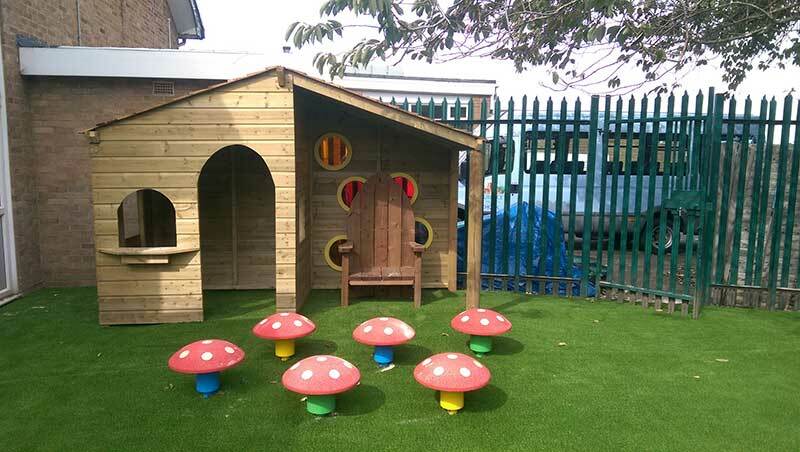 At the bottom of the scheme was our trademark play house and story teller’s zone, complete with rubber toad stools for the audience. A look at the complete bottom area – this area was covered in artificial grass. At the top of the scheme, just before the water play area pictured above, is a mud play area, consisting of a play shelter, mud pit, mud cooker, and mud kitchen. 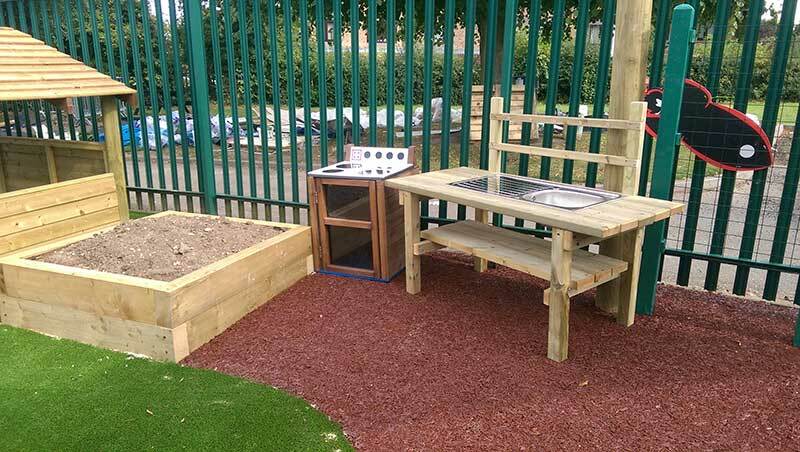 Combined with the water play and sand play, the pupils of St Laurences have lots of activities to get in touch with nature! 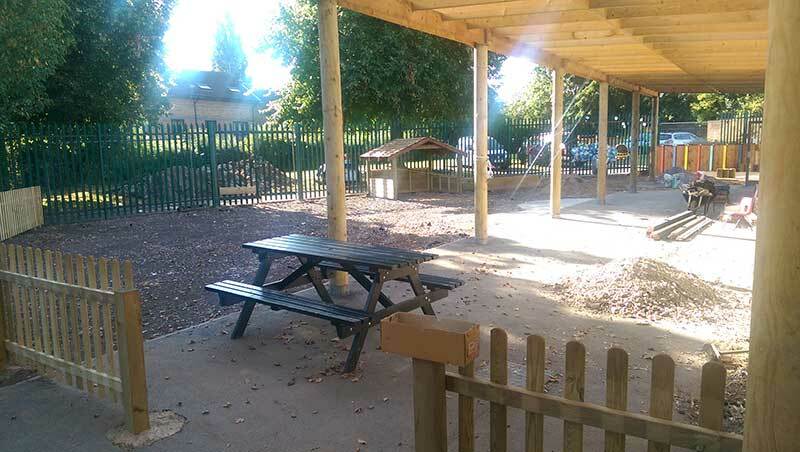 This was another project completed over the summer break, and another total transformation of a play area for the teachers and pupils to return to at the start of the new school year. 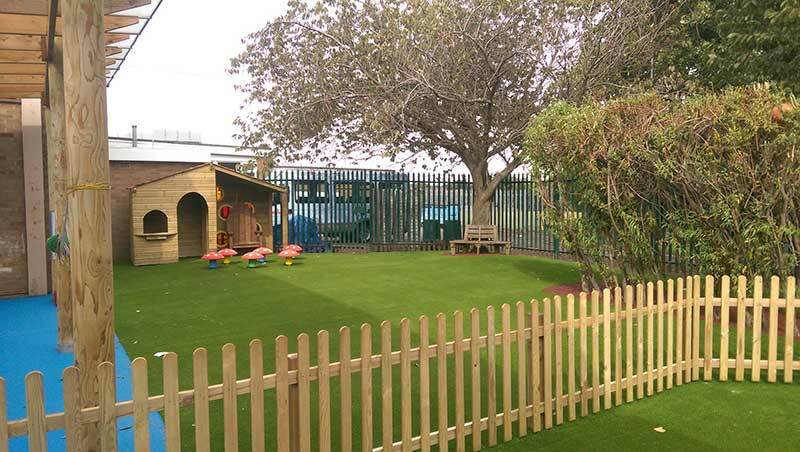 We are immensely proud of our work at St Laurence’s, and we know they’ll enjoy the new scheme for years to come!